On 30 November 2000, the Kinabalu Park in Sabah and Mulu Park in neighbouring Sarawak were both accorded UNESCO World Heritage Site status. We take a look at two of Malaysia’s most iconic natural attractions, which attract tens of thousands of visitors each year. Kinabalu Park in Sabah needs no instruction to nature lovers, with Borneo’s highest peak, the 4,095 metre-high Mount Kinabalu, forming a majestic backdrop. Located a scenic two hours’ drive from Kota Kinabalu, the park is a nature lover’s paradise with more than 5,000 plant species, numerous mammals and thousands of insect species found within its 750-plus square kilometres. 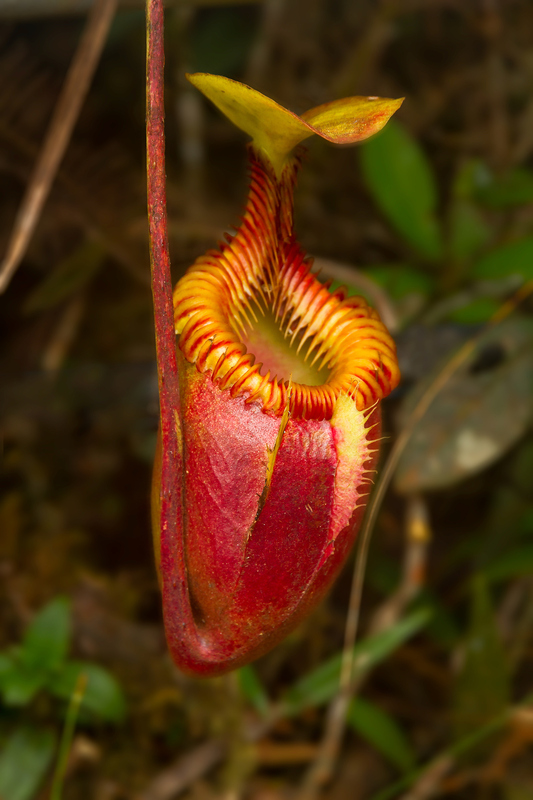 Among the endemic plants here are the world-renowned Nepenthes Rajah, the world’s largest pitcher plant which can grow up to 40cm in length and hold 3.5 litres of fluid, and one of the world’s rarest orchids, the Rothschild Slipper Orchid. 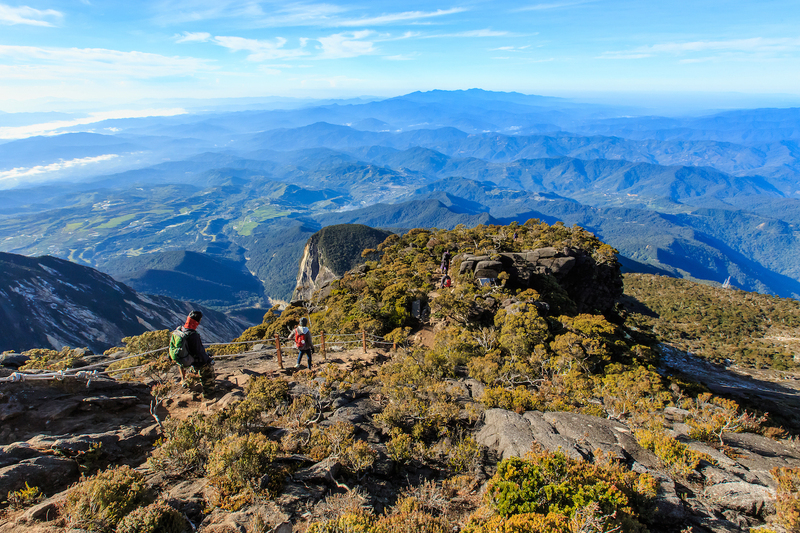 There are two trails to the summit of Mount Kinabalu, the Ranau Trail and Kota Belud trail, which take climbers from Panar Laban (formerly Laban Rata) at an altitude of 3,272 metres to Sayat Sayat at 3,668 metres. From there, an early morning climb on the summit trail leads to Low’s Peak at 4,095.2 metres where climbers can take that precious sunrise Insta-worthy snapshot. Apart from mountain climbing expeditions, visitors can experience the adrenaline-rushing Mountain Torq which is the world’s highest Via Ferrata or ‘iron road’ at an altitude of between 3,200 and 3,800 metres. Other mountain activities include rock climbing, paragliding and, for the less adventurous, hiking. For those who just want a pleasant day excursion, there are many other attractions and activities in and around Kinabalu Park such as mountain biking, bird-watching, farm tours, canopy walks and even golf at the scenic Mount Kinabalu Golf Club. There is a wide variety of accommodation available, from homestays and B&B hostels to upmarket chalets and bungalows. The towns of Kundasang and Ranau, both located near the park, are convenient stops for food and supplies. As Mount Kinabalu is a popular destination and the number of climbers is restricted to 135 daily, prospective climbers are advised to make reservations six months in advance. For more information, log on to www.mountkinabalu.com. Mulu Park is Sarawak’s largest national park with an area of 544 square kilometres and is best known for being the site of one of the world’s most famous limestone cave systems. 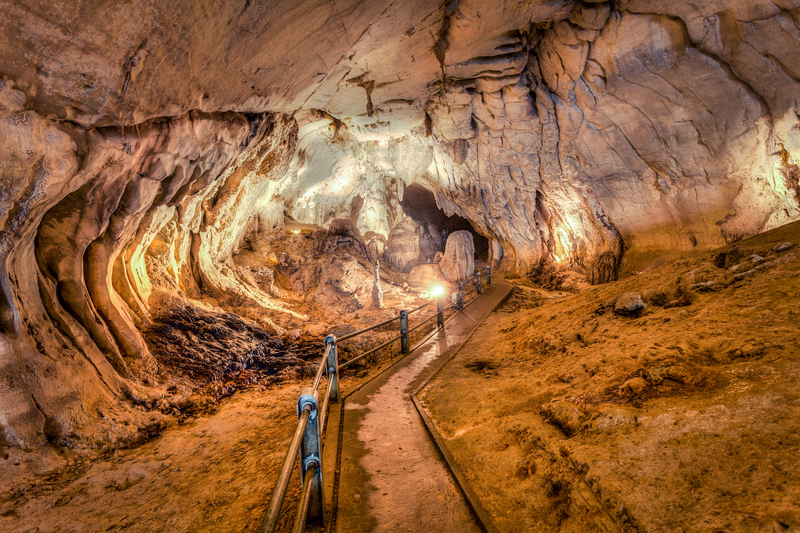 The Mulu cave system holds a number of records, including the world’s largest natural chamber, the Sarawak Chamber in Gua Nasib Bagus (Good Luck Cave), which is 600 metres long, 435 metres wide and reaches 115 metres at its highest point. The four show caves – Wind, Clearwater, Deer and Lang – are easily accessible via raised wooden walkways that take visitors on scenic hikes through lush rainforest. The walkways lead into the cave systems and allow visitors to view the fascinating stalactite and stalagmite formations, while using flashlights to examine the guano (bat dung)-covered floor and its teeming insect population. The shrill, squeaking sounds heard in the Deer Cave come from millions of Wrinkle Lipped bats. The Mulu Park landscape is dominated by the sandstone Mount Mulu (2,376m) and two limestone peaks in Mount Api (1,750m) and Mount Benarat (1,585m). 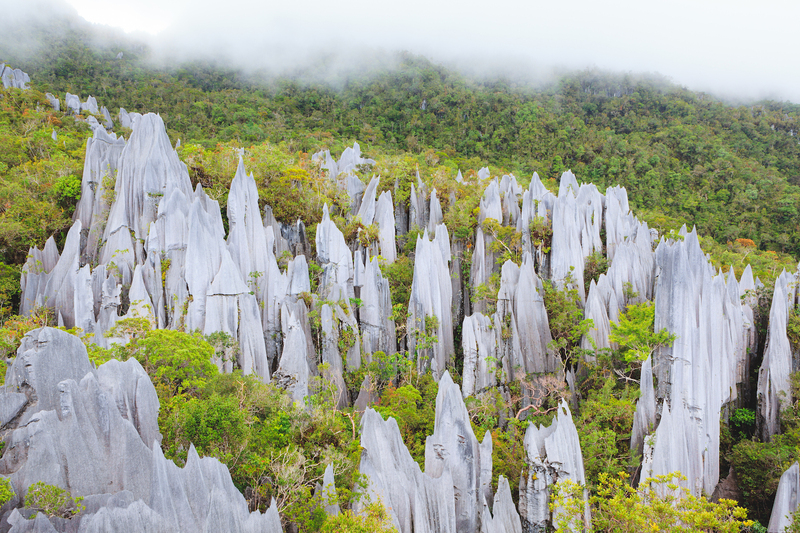 The famous razor-sharp Pinnacles which climb up to 50 metres are on the slopes of Api. 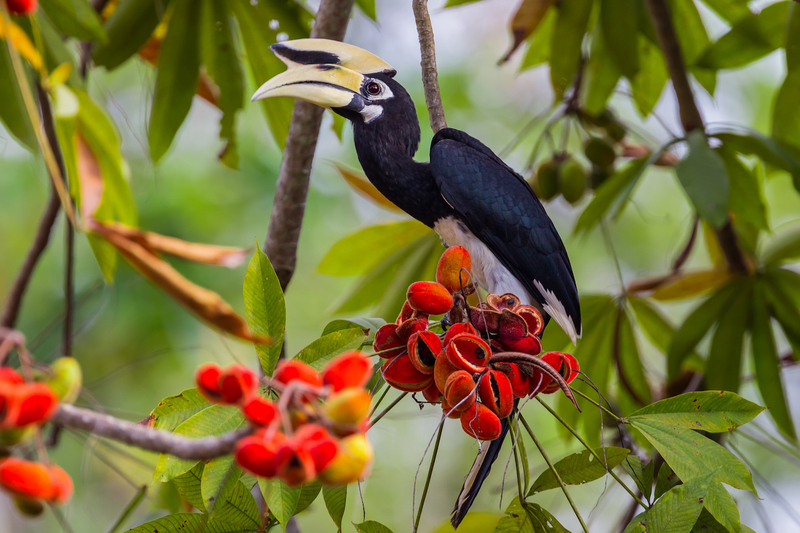 The ecosystems here are home to thousands of plant species including 170 orchid types and 10 pitcher plant varieties, as well as a diverse array of mammals and birds including eight hornbill species. Apart from caving, Mulu also offers less claustrophobic activities such a 480-metre rainforest canopy walk, the popular Pinnacles trail, demanding Mulu summit climb and fascinating Headhunter’s trail through remote rainforest. Visitors have to use a park guide to enter the caves as well as most of the trails and canopy walk. Accommodation is readily available and ranges from park-operated hostels and private homestays to the five-star Mulu Marriott Resort & Spa. The main gateway to Mulu is the oil-rich city of Miri, from where MAS Wings operates daily flights which take just half an hour. There are also direct flights from Kuching and Kota Kinabalu. For more information, go to mulupark.com.